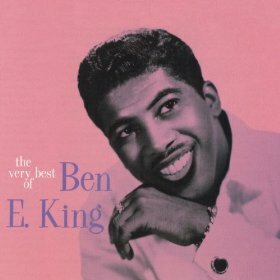 E-Rockracy: The Rock Hall and Solo Artists: Who's Worthy? The Rock Hall and Solo Artists: Who's Worthy? "Going solo." The concept comes off as self-serving, even egotistical. A self-important singer ditches his band, because he doesn't need those other guys (see: David Lee Roth). But sometimes, a performer legitimately outgrows their original group, spreads their wings, and soars even higher artistically and commercially (i.e. Michael Jackson, Peter Gabriel, Joan Jett, George Michael, Beyoncé). For the purposes of this piece, let's define "solo artist" strictly as a person that separated, either permanently or temporarily, from the existing group that made them famous in the first place. So, Sting (The Police) and Phil Collins (Genesis) would fit this bill, but someone like Janet Jackson would not; Janet is a solo act of course, but her career was not preceded by involvement in another successful musical group. So what does a solo artist have to do to make the Rock Hall cut? Being in a popular band and doing a solo album is hardly enough. Rock history has seen so many go it alone, with various results. There are wildly successful solo acts, middling successes, and solo forays that went over like a lead balloon. All four Beatles had largely terrific solo careers, but let's face it, no one is persuasively touting the replay value of Mick Jagger's She's the Boss at this point. Tina Turner raked in the Grammys after Ike, King had "Stand by Me," and Gabriel and Collins pulled an exodus from Genesis and became huge '80s icons... but have you been bumping much Mike & The Mechanics lately? Then there's the lesser-appreciated solo work that's neither a failure nor a triumph; it was laudable, but just met with less fanfare. The solo careers of Pete Townshend, David Byrne, and Lindsey Buckingham come to mind; later examples might be the work of Thom Yorke (Radiohead) and Jim James (My Morning Jacket). 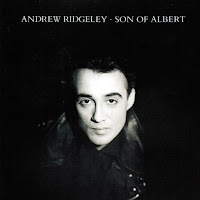 Finally, is anyone (unironically at least) still playing Andrew Ridgeley's 1990 LP Son of Albert, or late Ramone Dee Dee's rap album under the name Dee Dee King? It's an entertaining/infuriating list, and in some cases, their original bands aren't even enshrined yet in Cleveland, muddling the argument. No need to expound on every one of them, but perhaps just a few. One could predict that the Sugarcubes will never be inducted, but Björk is a relatively likely future nominee. The Smiths have been nominated twice to no avail, so to suggest Morrissey is a swell idea, but as unlikely as the Pope of Mope actually showing up to a ceremony in either case. Chaka Khan was just nominated, so it's reasonable to think she could appear on the ballot once again. But with N.W.A. going in this year, Ice Cube being considered for his solo work could unfortunately take decades, if it ever happens. All things considered, there are numerous solo artists that genuinely deserve Rock Hall consideration. But maybe the conversation should really start with individuals that have never been honored. The thing is, the Rock Hall is having a math problem as of late. 15 nominees in 2015 (for the 2016 ceremony), but only 5 got in; that's brutal. Considering the increasing exclusivity of this club, how logical is it for the nomination committees to submit previously-inducted people as solo acts when only five or six inductees might get in each year? 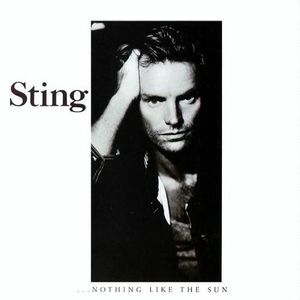 Sting is in with the Police; is it truly vital to induct him for his solo work, as accomplished as it may be? All due respect, but Reed was in with the Velvet Underground and had passed away before he was even nominated as a solo act, anyway; could it have waited? Should it be "3 nominations and you're out" for Ben E. King so they can move onto others? Also, there are legions of deserving groups that have been snubbed or have never seen a nomination. While the Hall has been doing some clean-up the past few years, inducting such long-overlooked fan favorites as Rush and KISS—and this coming April, Chicago, Deep Purple, Cheap Trick—they might want to prioritize acts that have never had a seat at the table. Some of the artists on the list you've put forth belong in the Hall if only because they've been in so many great bands -- Steve Winwood, for instance, whose solo work isn't necessarily worthy of Hallhood but whose ubiquity and whose greatness in so many different bands is undeniable. That's probably a special case, though -- the only other individual who comes to mind as deserving, solo, for a similar achievement is Ron Wood.